New information revealed for Let’s Go, Pikachu! and Let’s Go, Eevee! I won’t lie, I haven’t been too fussed with what I had heard up until now about the upcoming Pokémon: Let’s Go, Pikachu! and Pokémon: Let’s Go, Eevee! games. However, I did not lose faith in Nintendo’s ability to separate me from my money, and lo and behold, news broke yesterday afternoon that have succeeded in exactly that. For those that don’t know, Pokémon: Let’s Go, Pikachu! and Pokémon: Let’s Go, Eevee! are a pair of upcoming games for Nintendo Switch set in the Kanto region. 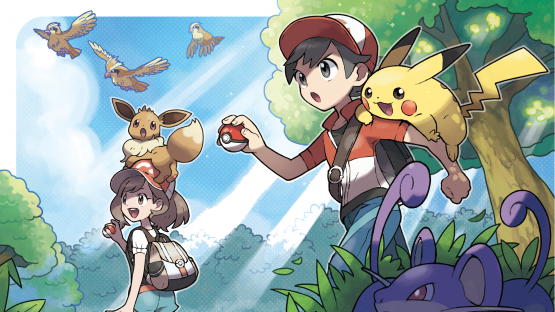 At the start of players’ adventures, they will receive their first partner Pokémon, either Pikachu or Eevee. Unlike regular Pokémon, their first partner Pokémon is not interested in evolving and instead prefers to stay out of its Poké Ball. Pikachu or Eevee will travel with players throughout their journey by hanging on their shoulder or riding on their head. Players can become best friends with their Pikachu or Eevee and can pet, feed and even tickle them. 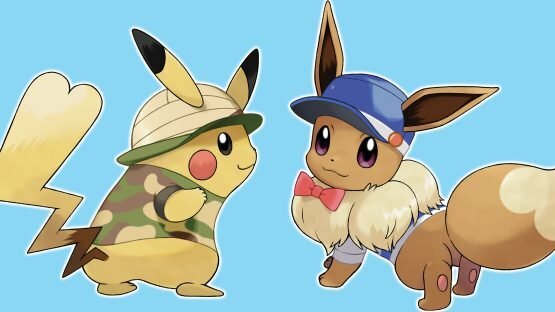 Not only that, but players can dress up their Trainer and partner Pokémon in a wide variety of cool and cute outfits, accessories and even hairstyles to become the perfect style duo with their new best friend. As players travel throughout the Kanto region, they will meet some familiar faces as well as a few new ones. Professor Oak returns, alongside a new Rival, to present the Pokédex—a high-tech encyclopedia that records data on any new species of Pokémon that players catch in the games. Players will be able to battle Gym leaders across Kanto, including fan favourites Brock, the Gym Leader of Pewter City, and Misty, the Gym Leader of Cerulean City, as they strive to become the Pokémon League champion. In-game Pokémon Trainers aren’t the only ones who can be battled. Players will be able to connect with other players online* or via local wireless communication between Nintendo Switch consoles to enjoy intense Pokémon battles. They will also be able to trade Pokémon with each other using these communication features to help complete their Pokédex. As another new nugget of information, it was revealed that Pokémon: Let’s Go, Pikachu! and Pokémon: Let’s Go, Eevee! will both feature a variety of exclusive Pokémon which are unique to each game. In Pokémon: Let’s Go, Pikachu! Trainers will be able to capture Pokémon including Oddish, Sandshrew and Growlithe; while players of Pokémon: Let’s Go, Eevee! will be able to capture Pokémon such as Bellsprout, Vulpix and Meowth. Pokémon: Let’s Go, Pikachu! and Pokémon: Let’s Go, Eevee! are due to launch on November 16th, 2018. We’re now watching these games very closely, so check back here on Rice Digital for more information in the future. Also, check out the new trailer below!